Well, it’s new to me. I recently came across this video explaining the “magic knot”, which is a double knot used to join yarn. Till now, the Russian join has been my go-to technique, but I don’t like the added bulk. With the magic knot technique there are no tails left to weave in, the knot is not visible and there is no added bulk. I’ve been dreaming of making a scrapghan but have been scared away from the idea thinking about all those ends to weave in. Happy to have a way to make it faster and easier. “This video tutorial will show you how to join a new ball of yarn to your knitting or crochet by making an invisible knot. This knot is very strong and leaves no ends to weave in.” Video by Jane Richmond. What projects do you use the magic knot for? Thank you to the nth degree for sharing this! I was astounded when I pulled really hard and nothing happened–and I was using super bulky yarn. I wasn’t sure (for whatever reason!?) this yarn would hold the knot, but it sure did. You have gained another fan! thank you!!! I’ve knit for 50 years and this is the best! Wow, that’s amazing! Let me know how it works out for you. Finally! 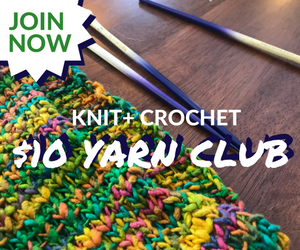 An easy way to join wool without using knots, or having to weave in extra pieces along the way. Thank you so much!! 5 stars to you! Great technique! Do you find it works equally well for smooth yarns like linen and cotton, or does it work best with wool? I knitting a blanket and my daughter in law told me about your wonderful knot. I used it last night when I added the next ball ,thanks Alice. Has this magic knot ever come apart in the wash? Thank you. Love this knot. Looking forward to following your blog. The magic know is wonderful. Thank you so much. I plan to use it from now on with my knitting. I am wondering if there is any way to use it when you are changing colors at the end of a row since you don’t exactly know where the knot will fall?? Thanks again. Hi Jan, sorry for the delay in replying. I haven’t figured that out yet! It does seem very tricky to line it up exactly where you want it. If at the end of the row, you could pull the new color up on your last pull through of the previous row. you could then crochet over the tail of the new color for a few stitches. You would still have to deal with the tail of the previous color but at least one less tail. Total newbie to knitting here. Probably not your typical knitter (70, male). Tried the standard weaving in ends thing. Came apart with a gentle tug. Looked on line to see if some “real” knitters were using something else. Came across the Magic Knot. Tried it. Works great except for the 90% of the time I want to use it (edge of work for a color change). What do you think of this? Start with HALF a Magic Knot. Tie the new yarn loosely around the cut-off tag of the old, and snug it up against the needle. Tighten it up really well. Then take the two tag ends and pretend you are starting to tie your shoelace (the 1st part, before you make the loops). Tighten it up. This seems to be plenty strong, but just to make sure, tie the new yarn tag to the new ball. Testing this, a worsted-weight yarn will snap near the knot but the knot just gets tighter. Using a heavier yarn (20% wool, 80% acrylic), I can pull until my arms shake and nothing gives. It makes a small knot similar to a Magic Knot and would be hard to find except for the color change. If somebody can show me how to weave in ends that results in a connection so strong that the yarn will snap before it comes apart, great. Otherwise . . . I can’t say how this will hold in extended wear with some washings, as I am trying it for the first time on an almost finished scarf (after about a dozen failures). Of course, traditional knitters will moan in horror at the mention of knots, but it seems to work so far and follows the KISS principle. Anybody got anything better? Thank you for this! It’s now my preferred way of doing it. BRILLIANT! My mother taught me to weave in the ends and I’ve been doing it all my (long) knitting life. It’s the part I hate the most about finishing my pieces. I just tried your method on a couple of pieces of yarn and it was super strong – didn’t come apart when snipped. Never again to weave! Thank you. I am so interested in knitting now. This video was had me rewinding it a few times to be sure I could follow the steps. Now I’ll have to buy some knitting tools. Thanks!